The Palestinian Health Ministry has reported, Thursday, that two Palestinians, who were shot and seriously injured by Israeli army fire in the Gaza Strip, have succumbed to their serious wounds. 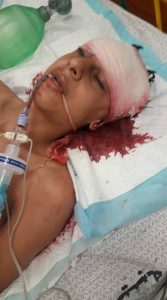 Dr. Ashraf al-Qedra, the spokesperson of the Health Ministry in Gaza, said a young man, identified as Ahmad Ali Qattoush, 23, died at the Shifa Medical Center in Gaza, from serious wounds he suffered several days ago, after Israeli soldiers shot him with a live round in the head, east of the al-Boreij refugee camp, in Central Gaza. It is worth mentioning that Ahmad has two other brothers, identified as Rami and Ibrahim, who were also killed by Israeli army fire in previous years. Ahmad is from Nusseirat city, in Deir al-Balah, in Central Gaza Strip. 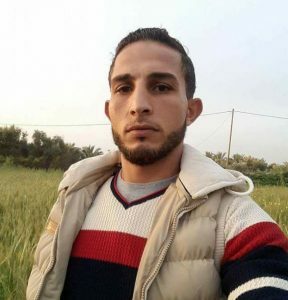 Dr. al-Qedra added that another Palestinian, identified as Mohannad Bakr Abu Tahoun, 21, died from serious wounds he suffered, after an Israeli soldier shot him with a live round in the head, on May 14th. 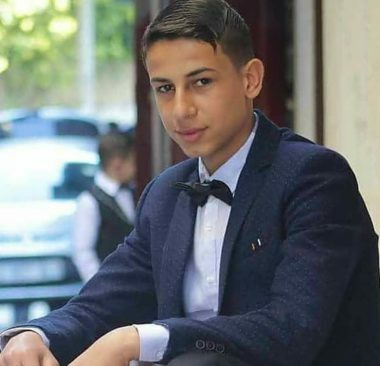 Abu Tahoun, from Zawaida area in Gaza city, was moved to a hospital in Gaza, before he was transferred, Wednesday, to the Al-Ahli Palestinian hospital, in the southern West Bank city of Hebron, where he succumbed to his wounds on Thursday evening. Dr. al-Qedra said 50 Palestinians, who were injured by Israeli army fire since the Great Return March nonviolent protests started on March 30th, have been declared clinically dead, and added that 114 Palestinians, including 14 children and two journalists, who were killed. Israeli soldiers have injured 13190 Palestinians since then, 330 of them suffered life-threatening wounds. 13 of the Palestinians who were killed by Israeli army fire, and 2096 of the wounded, are children, while 7618 of the injured were shot with live fire, the illegal expanding bullets in addition to rubber-coated steel bullets, and the rest suffered the effects of teargas inhalation. It is worth mentioning that 32 of the wounded Palestinians suffered injuries that caused the amputation of their limbs; 27of them had their legs amputated.